RedBedHead: Did Layton Shift NDP To The Right? I have a lot of time for Thomas Walkom - ever since way back in the 90s, when the Days of Action movement was heading into full swing and Walkom took to quoting the German revolutionary socialist Rosa Luxemburg. Most of the time and on most issues I find that he has a sharp and discerning eye. But sometimes I think he loses the forest for the trees and today's column, suggesting that Layton and Rae are political twins, misses its mark. The first thing to say is that while there are a few items in common some of these are held in much wider circles than the NDP. For instance both Rae and Layton were in favour of asymmetrical federalism to bring Quebec into confederation - but, then, so was Brian Mulroney. Or that both men eschewed ideology, defining their approach to politics in personal terms. Well, that pretty much defines every NDP leader since they stopped using the word socialism. I was, in fact, surprised by Stephen Lewis' eulogy that he described Layton's last letter to Canadians as a manifesto for social democracy. I don't think that I've ever heard a major NDP figure talk in such "ideological" terms before - and do is so effectively, I might add. But this quote by Walkom is what really struck me. Both men worked to shift the NDP to the right, toward what they saw as a more pragmatic path. Rae ran into resistance, particularly when he took on Ontario’s public sector unions. His failures there played into his eventual decision to abandon the NDP. Layton was more successful. Perhaps the party’s traditional left was too tired and dispirited to fight him. Perhaps his deliberate, albeit jovial, vagueness won over the critics. Perhaps the times were simply more propitious. I can't help but feeling that this view of Layton's contribution to the NDP is a real mis-reading of how Jack got to be leader and its significance. I discussed a few days ago, in a postscript, how I think that Jack came to be leader of the NDP in the wake of the anti-globalization movement, which radicalized many in the NDP, and the NPI, which was the reflection of that movement inside the party. That the party chose to go left to Jack and not to the centre with Blaikie was a sign of the power of the anti-globalization movement, the success of the NPI and the ability of Jack to personify the ideals of those movements. He wasn't a radical leftist but there can be no denying his role in pushing for the NDP to adopt a policy opposed to the war in Afghanistan and for working hard to demonstrate that the NDP was a viable option for the Quebecois - not least with the resolution to respect Quebec's right to decide its own fate. 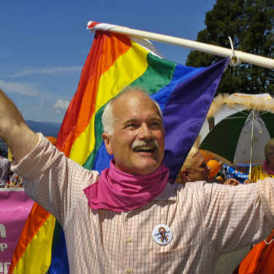 He also selected Libby Davies, a long time stalwart of the left in the NDP, as his Deputy Leader. 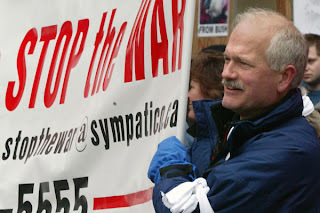 What's more, in the lead up to Layton's election as NDP Leader he went out of his way to promote the February 15 day of action against the war in Iraq - a series of demonstrations across the country that put the nail in the coffin of Canada's participation in that war. 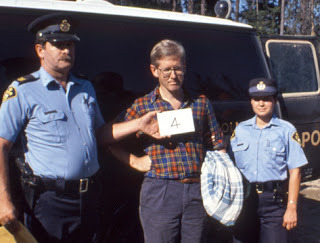 It is true that Rae did support some extra-parliamentary struggles - I recall him being arrested at Temagami for protesting clearcutting and the native land claims to the area. But, crucially, that was before the NDP government in Ontario and before the general political capitulation to neo-liberalism. The collapse of the NDP to the right during the Rae years in Ontario wasn't just a Bob Rae or Ontario phenomenon - it was an international phenomenon that led to Tony Blair in Britain and Bill Clinton in the USA, with his plan to "end welfare as we know it." Following the Ontario debacle - that would lead to nearly a generation in the wilderness - the NDP was wracked by successive attempts to move it to the right towards the Third Way of Tony Blair. Alex McDonough planned a coast-to-coast tour at one point to promote the idea - iirc - before being slapped down and instead promoting the "Canadian Way" - a repackaging of the same type of ideas. In other words, the centre-moving elements within the NDP leadership were ascendant for a decade. And while Walkom notes that neither Layton nor Rae were "wedded to traditional instruments of the left such as public ownership" he forgets that Rae was actually elected on a platform of nationalizing auto insurance. But this was the last hurrah of post-war reformist social democracy. There is literally not a social democratic party anywhere in the English-speaking world that advocates nationalizations or public ownership. Even on the left of the NDP there are only marginal voices that call for nationalizing anything. In this sense, Layton's leadership was a product of this moment in history as much as it was a product of Layton's own sensibilities. And what differentiated Layton from Rae was exactly that he stopped the rightward gallop of the NDP under McDonough et al. Of course, he was still a compromise - the NDP is a broad coalition, which means that elected leaders are pretty much guaranteed to be a compromise. But the compromise - the waffle, to steal a phrase - was to the left, rather than to the right or the centre. Why is it important to make this point? Because otherwise we can't understand the reason why Jack's passing had such a profound impact on people. We end up with foolish bromides about how people longed for the "civility" he brought to politics. Jack was a break from the out and out opportunism of the McDonough/Rae years and his stand against the wars in Iraq and Afghanistan - which earned him sneers of "Taliban Jack" in Parliament - and his willingness to accept the right of Quebec to self-determination, his longstanding support for abortion rights, gay and lesbian rights, native rights and more meant that he was seen as a politician with a vision of a different world. That people identify with that explicitly progressive vision tells us that Canada is ripe for a progressive movement to return to the streets (you hear that, Mayor Ford?) It is not an accident that Stephen Lewis ended his eulogy with the quote from Arundhati Roy, written at the peak of the anti-globalization movement:"Another world is not only possible, she is on her way. On a quiet day, I can hear her breathing." good post - I facebooked it - Walkom is way off on this one!